Hello there! I know it’s been a while but *whispers* I’ve still been unwell. Onwards and upwards I hope to be back on top of things soon! I thought I would share with you my completed cross stitch from my last post. It took longer than I had planned, but it’s done now and I’m really pleased with it. 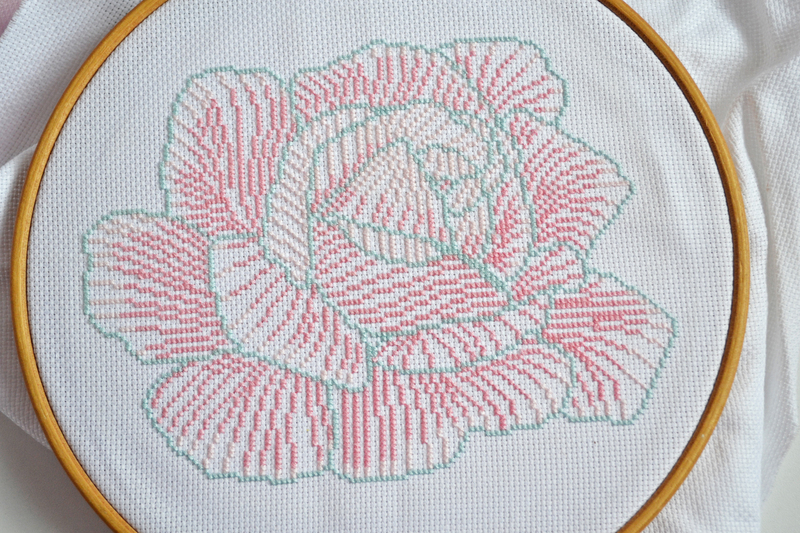 It was a lovely little project to stitch and I am looking forward to trying more from the book. 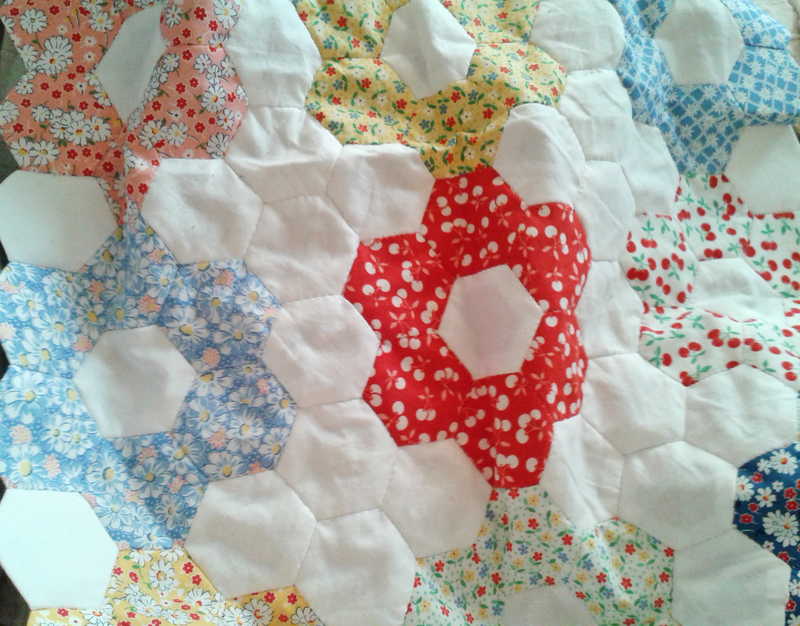 I’ve also been working on my hexie quilt. A little sneak peak for you. If you’ve been following my progress you’ll know I thought I would be finished with this by now, but life and illness got in the way of that. Plus I needed a little break from it and that’s where the cross stitch came in! I’m glad to have had the break from it and I know have a renewed passion for it and a determination to see it finished. I also actually attempted to make my first ever item of clothing a simple top, it’s not quite finished yet, but I really enjoyed making it and it wasn’t as scary as I thought it would be I just took each step at a time and ended up with something that resembles the picture on the packet! I will be sharing that project and my plans for more soon! Previous Post Liberty Cross Stitch Book a Sneak Peek and a Little Review..